In the United States The National Helium Reserve supply chain is currently disrupted. The price has spiked and some supplies are not selling to non-commercial users. We have been asking our suppliers and they expect the situation to improve before the end of the year. The reserve is not out, it is said to be at 25-year supply right now, but the U.S. Senate is considering adjusting the current policy which was set in 1996. One notable aspect being considered is giving Scientists priority in the event of a shortage. Problem: re-capturing helium in a pressurized tank without contaminating it for reuse. Can it be done at low cost? Portable system? Safety? New York City Region * Liberty Industrial Gasses and Welding Supply, Inc., Brooklyn NY. Tank rentals, sales and refills. Delivery available. Boston Region * Party City, Newington, NH, $45 per tank, 3 day rental * Funny Bones Party Supplies, Salisbury, MA, $99 per tank, flexible 7 day rental * iParty, with many locations from Providence through Maine, used to rent helium tanks for approx $45/flight (80 cubic ft tanks), however after being acquired by Party City, this may no longer be the case. Solar Balloons The cheapest and most sustainable method available, but since hot air has 5-15% of the lift of hydrogen, not as controllable and very difficult in wind. 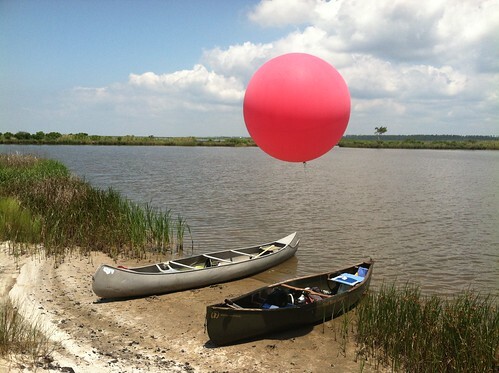 Continue to a page with lots of research on making your own solar balloons. 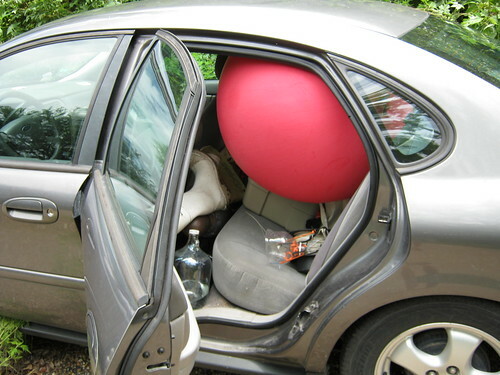 Hydrogen Balloons Perhaps the most readily available abundant source of lift, but must be used safely. Hydrogen provides 7-8% more lift than helium. Methane Balloons) From the 1830's until the 1930's most balloons were filled with coal gas (mostly methane), which provides about half the lift of helium, because it was very cheap and as a larger molecule has a far lower dispersion through the balloon envelope, enabling balloons to stay inflated far longer. That said, with 3.75 times the energy density of hydrogen, a methane balloon providing the same lift as a hydrogen balloon could produce a fire eight times as large.